We get requests for a Windows Phone version of PocketWGU about once or twice a month. Supporting a new platform is a sizable amount of work. There are new tools and languages to acquire and learn, new app-store guidelines and submission processes to figure out, and above all else, new chunks of spare time <chuckle> to allocate. It's a decision not to be taken lightly... but we're gluttons for punishment. We've always said that we'd do a WinPho version if enough people asked, so let's see if there's enough interest. To create a WinPho version, we're going to need some alpha/beta testers. We'll need at least a dozen, and the more, the merrier. To be a tester, you must be actively enrolled in WGU and have a phone running Windows Phone version 8. You must be willing to try our half-baked, early versions and tell us what works (or doesn't). It shouldn't be hard or time consuming, but we can't make the app without folks willing to try it out. If you want to be a tester, send us an email from the email address associated with the Windows ID you use on your phone. It must be the address linked to your Windows ID because Microsoft uses that address to let you download the software. We'll add the address to Microsoft's list of who can download our test apps, and send you an email (with a download link) when there's a new version for testing. So, if enough people sign up to test, we'll write something for them to try out. It's up to you! Re: PocketWGU for Windows Phone? We've made some good progress on expanding our Proof-of-Concept to provide the necessary network communications and threading (e.g. parallel tasks via TPL) infrastructure. We've also gotten the MVVM framework working in a consistent manner (decided to use Caliburn.Micro, very nice). We still need to address database persistence (we use SQLite on iOS and Android, not sure if we will do the same on WinPho), but most of the structural design is coming together. We'll definitely take you up on the offer to help code/test. 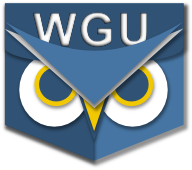 The PocketWGU DevTeam is open to all WGU students, alumni, and employees. It will probably be a few more weeks before we put out a code repo, but we'll keep you posted. PocketWGU DevTeam PocketWGU is a volunteer project open to students, faculty, staff and alumni of WGU. I am currently in the market for a Windows 8.1 tablet and would love to have this app supported on there as well. We're going to focus first on getting Windows Phone support, but we are taking every measure we can to ensure that the code is reusable for both tablets and laptops. Unlike iOS and Android where the phone/tablet enviornments are nearly identical, on Windows the phone environment is very different, in terms of programming, than what you can do on a tablet/laptop. We'll keep you posted/updated here, but can't make any promises about when we might be ready for the Windows tablets.